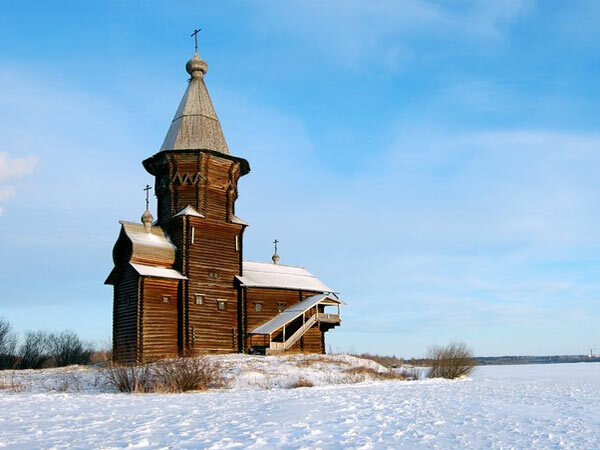 A month has passed since our fam trip to Karelia and we are still under great impression of this north region of Russia! We took the overnight train Friday evening from Moscow to Petrozavodsk which is very comfortable and clean. On arrival in the morning we were met by our partner with the sign “2 happy days in Karelia” and these were really happy ones! After breakfast in 4* newly opened Park Inn located near the railway station we drove to waterfall Kivach place. 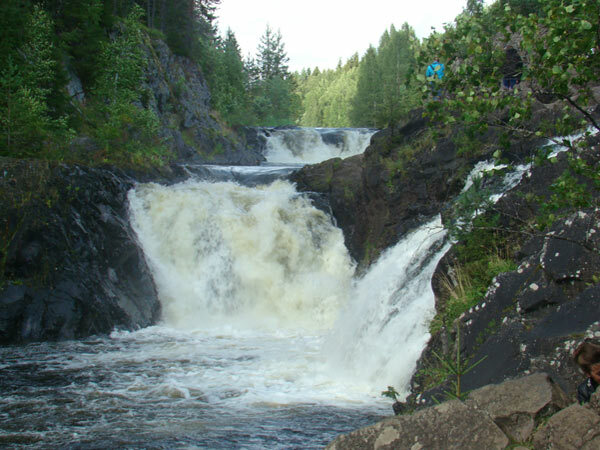 The region of Karelia has about 30 waterfalls. The most eminent is Kivach known from 1566. There are 3 version of the waterfall name: Russian – from the word “nod”, Finnish – from the word “kivi”(stone), Karelian – from the word “kivas” (snowy mountain). The place was deserted by tourists end of March and we enjoyed the calm of the place and its beauty. This is the 2nd flatland waterfall in Europe. There is a natural reserve in the area of 10,400 hectares round the waterfall. 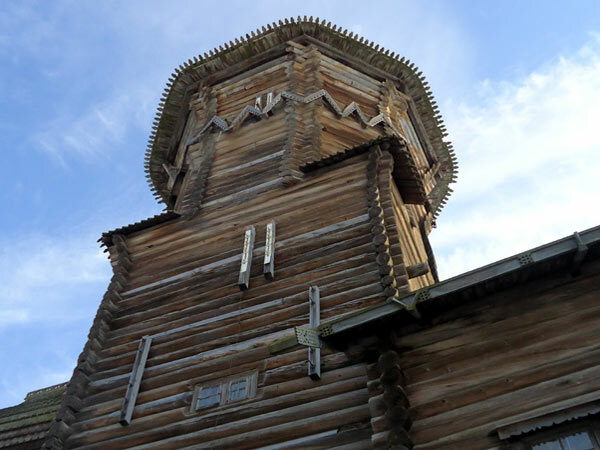 After lunch (shashlyk served in nearby small cafe) we started for the town of Kandopoga located on Onega lake to visit the Assumption church (1774) which is a fine sample of Northern Russian tent roof wooden architecture! 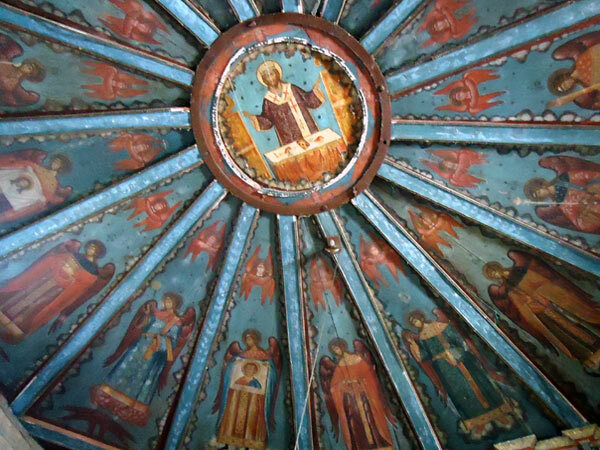 Unlike traditional Russian churches theses Karelian churches have not vaulted but flat ceilings decorated with wooden blue colour paintings called “nebo” (sky). Fantastic view on the lake opens from the church! The church has lived through revolutions, wars and has retained much of its interior and wooden carved iconostasis. 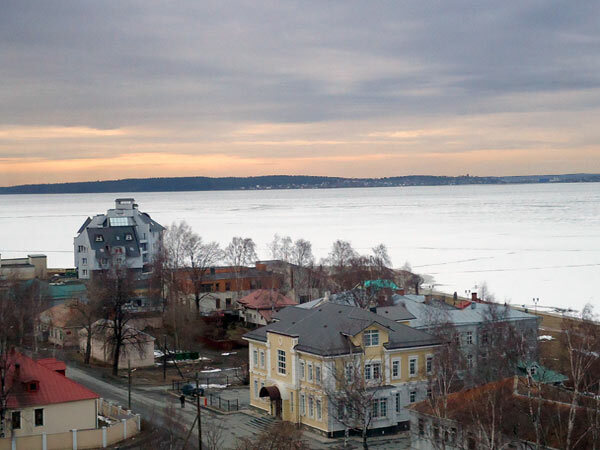 The remainder of the day was devoted to hotels inspections city of Petrozavodsk sightseeing (capital of Karelia). It is such a pleasure to stroll along the embankment of the Onega lake which has so beautiful views of the lake! 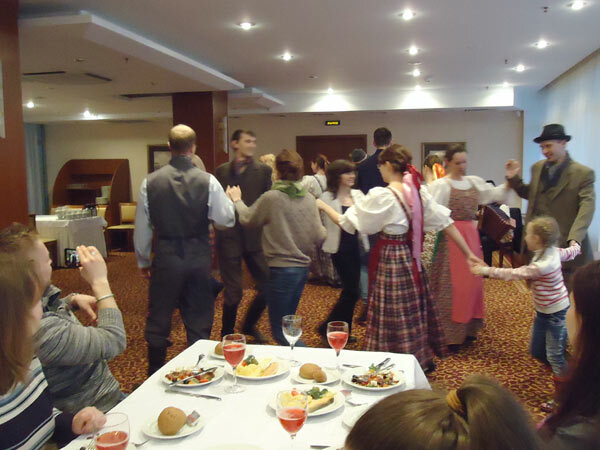 We immensely liked dinner accompanied by traditional Karelian folklore group – couldn’t help dancing with them. Very enjoyable interactive performance! At night we has an after-dinner drink in Pauliner restaurant of the hotel where 2 female singers performed well-known world hits. The voices were brilliant! The following morning we checked out and drove to a unique place – village of Kinerma. 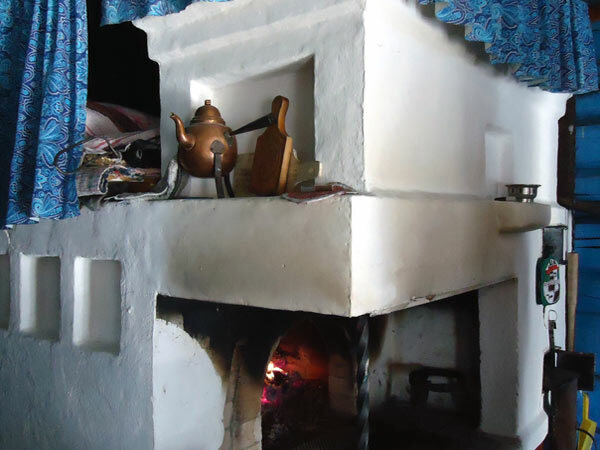 The village was originated in the 16th century and up till now 17 authentic wooden houses has been preserved, 7 of them have been recognized as architectural monuments. Only 2 of the houses have people living. One belongs to Nadezhda, the 2nd house owner is 82 year old Ershov Ivan Alekseevich. The village is being preserved by great efforts of one lady - Nadezhda Kalmykova (who lives with her husband and 2 sons in one of the houses). She spent her childhood here but moved to Petrozavodsk later for University studies (knows several languages). Several years ago she decided to come back to her small motherland to help the dying our village to get reborn. 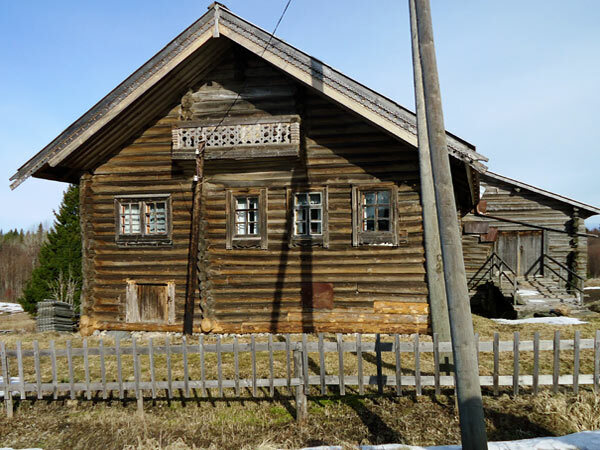 At her own expense with great enthusiasm she is undertaking great efforts to preserve/reconstruct the place as well as promote the traditions of Karelian people that have lived on the this land for centuries! She established a special fund and her plans are diverse – from solvation of the village to creation of cultural centre on Karelian language and traditions study. The village has the chapel of Our Lady Of Smolensk (18th century) as a centre of the settlement surrounded by the similar age fur trees (such placement comes from the pagan times). 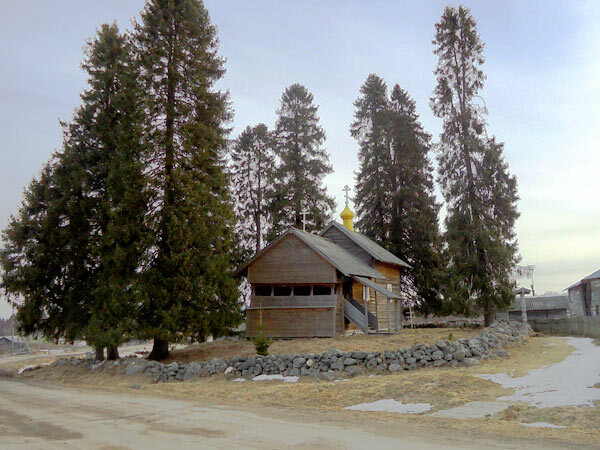 The houses are built around the church which is different from other Russian villages where the houses are situated along the 2 sides of the road. The small village is in the middle of nowhere in the woods. You have a strange feeling being there- like in fairy-tale. 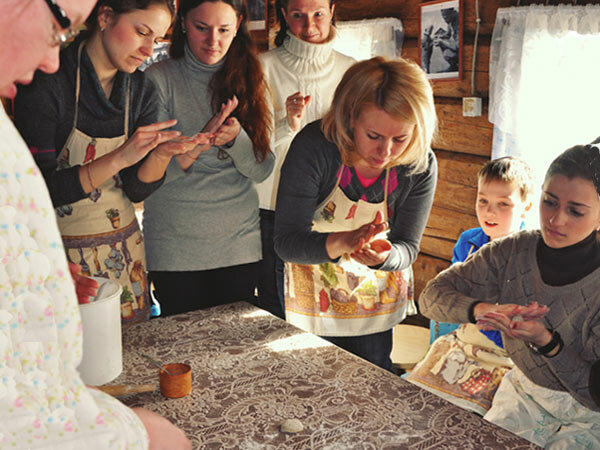 We had a tour of it led by Nadezhda dressed in traditional Karelina costume and had a delicious home-made lunch (shee- cabbage soup, meatballs, Russian pickings (cucumbers/tomatos), tea with home-made wild berries pie . Prior it we had a master class of baking “kalitki” (karelina potato pies) in Russian owen. It was pretty difficult to make them and not everyone was successful. Our last experience on the trip though unexpected was no less positive and strong- visit to Haski farm in Karjala park. 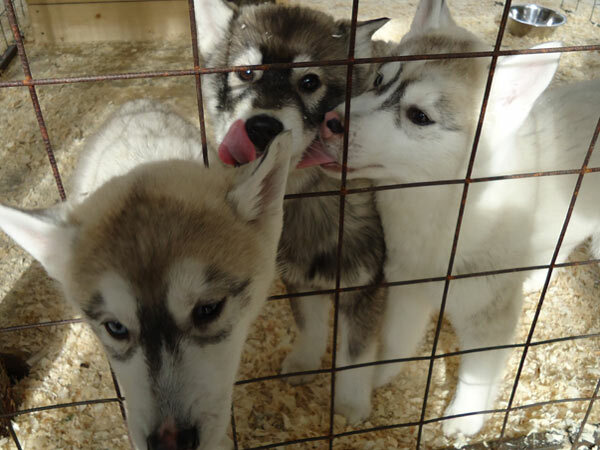 The complex has 2 cottages in the fines pine tree forest and a husky farm which we took a great pleasure of visiting! Haski farm in Karjala parkThe company specializes in active tourism and does not only dogsled tours but 4W tours, rafting, snowmobile tours with duration form 2 hours to several days. We were so impressed by the service quality of this place and range of tours they offer that immediately put a note in 2014 travel diary! After delicious lunch (salmon and milk soup, wild berries pie/hot tea) in the heated tent we drove back to the city of Petrozavodsk for last minute shopping (local cloudberry jam was a must to buy for family/friends) and overnight train to Moscow departure. Our 2 Happy days were over. But we will be coming to this beautiful region again and again.